Here’s a spot where I list helpful links to software and information to help you with digital photography, scanning, Periscope and any type of imaging. I’ll help support your efforts with these products as I utilize them in my consulting practice on a regular basis. This page is dedicated primarily to easy to use Windows based software, photography and scanning solutions however, many are cross compatible with Mac. If you are interested in more Apple OS or other Operating System solutions, please contact me for a custom recommendation for your system. PLEASE BE ADVISED: ASKAVIE, LLC has established affiliate relationships with many of the vendors referenced on this page and is paid a commission on each verified sale initiated via the banners and links on this website. Many have inquired about moving toward a “Paperless Office” by digitizing and organizing their documents. One solution that I’ve found very effective is the Neat Cloud and Neat Desk Solutions. Built on a smart scanning software platform, this hardware/software combination with Cloud Storage brings all of your documents to life on any Internet Connected device – securely and efficiently. There is a noticeable difference between hosting services that offer 24 x 7 Professional Customer Service AND Current Server platforms running SSD drives. InMotion Hosting is my choice for hosting WordPress websites. A Web Hosting package is a necessary requirement for those serious about setting up a Professional website. BlueHost provides reliable and affordable hosting services which scale to your specific needs. 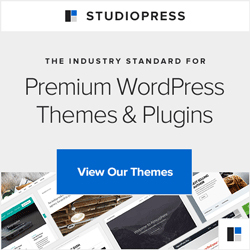 StudioPress and the Genesis Framework offers a very flexible foundation for building WordPress websites. The aSKaVIE.com site is built on the Genesis Framework and it is very easy to manage and maintain. Check out some of the many themes offered here at StudioPress. Combine the Webinar hosting power of Google Hangouts with an unmatched Front-End System to enhance that power and what do you get? Movavi Screen Capture Studio is the ultimate screencasting software – it enables you to record everything that happens on your screen, transform recordings using the powerful video editor, save files in any format, export them to your mobile device, or upload online – all this in one program! Enjoy high quality recordings with no out-of-sync problems. Edit video to create a visual tutorial with voiceover, captions and music. Split, join, and rotate videos. Apply different special effects and filters. SnagIt screen capture provides a convenient and efficient tool to sidestep the time-consuming limitations of the copy, paste and print screen commands. Use SnagIt to collect, edit and share content from the computer and Internet. Activate your captures through a toolbar built into Microsoft Office, and customize images with SnagIt’s powerful, yet intuitive graphics editor. Save time, enhance your communications and illustrate your ideas with this award-winning, easy-to-use software solution. With more than seven million users and multiple PC Magazine awards, SnagIt is the everyday computer tool for beginners, experts and everyone in between. SnagIt Solves It, every day. Camtasia takes the concept of Snagit and provides the ability to not only capture your screen, but build complete instructional videos and much more. A go-to standard for those who need to create training from screen captures with full-audio, video and markup capability. Gadwin Systems believes that no one should have to buy software in order to find out how well it works. Gadwin’s products are available for download and evaluation with a 30-day evaluation license. Click on the link below to gain access to many Digital Imaging Tools. 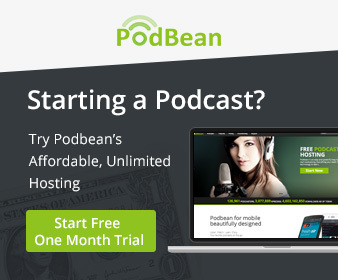 PODCASTERS – RECORD A CONVERSATION WITH ANYONE, ANYWHERE IN THE WORLD, AND HAVE IT SOUND LIKE YOU’RE IN THE SAME ROOM. First – having analytic reports and information about each of your scopes is critical. Analytics help you to enhance your ability to know who your active viewers are and reward them. You will be able to identify where your strengths and potential areas of improvement might be based upon quantification of time watched, number of hearts, overall retention, etc. You will also have the ability to communicate with your viewers via twitter after identifying them, reading their comments, and seeing how they each rank. To accomplish all this, Visit Fullscope.tv and learn all about it. Do you have a strong but subtle iPhone 6 / 6s Case? The spigen clear capsule case is rated Military Grade for drop protection, yet is practically invisible. The following link to Amazon will show you a variety of cases including a link to the Spigen store for more iPhone and Android options. Before you add any peripherals, be certain you have enough power to sustain your phone while you are traveling and scoping. This powerful ultra-capacity 20,000 mAh power pack is capable of charging the iPhone 6 as many as 6 Times on a single charge. This Lavalier microphone from Rode provides crystal clear voice recording and broadcasting. It includes a clip and cable sufficient to mount your Smartphone on your tripod. Square Jellyfish Jelly Legs Micro Tripod with Micro Ball Head (Tripod and Micro Ball Head Only) is designed to provide the base for securely holding your Smartphone in place while you Scope. Portable, it can go anywhere and hold your phone so that you are free to focus on your subject. Use it in conjunction with the Tripod Mount below to complete the setup. Square Jellyfish Spring Tripod Mount for Smart Phones 2-1/4 – 3-5/8″ Wide is used to hold your Smartphone securely in place and mount it to the Tripod (above). This is a nice full-size tripod that has a built-in level to make it easy to adjust the legs for a quick and balanced base no matter the surface. This Griptight Mount will hold your Smartphone connected to any standard Tripod and works well with the Full-Size Pro-Master Tripod listed above. If you are into moving around while Scoping, action shots become smooth and easy to watch when you stabilize your phone with this Lanparte Gimbal. It has 2 motors designed to auto-sense motion and compensate and balance your images. Rechargeable battery is capable of 2-3 hours of video. (this power is not drawn from your phone battery). Here are the screen cleaners and protectors I use and recommend to my clients. From smartphones, tablets, Notebooks, Monitors to the largest TV Monitors and Displays, MONSTER is a safe and effective way to achieve great results. Clear audio is a true advantage when communicating on Live-Streaming. The following microphone, wind screen, and stand is an inexpensive way to get professional results. Open Broadcaster Software can be used in a number of creative ways to help with your Live Streaming activities.